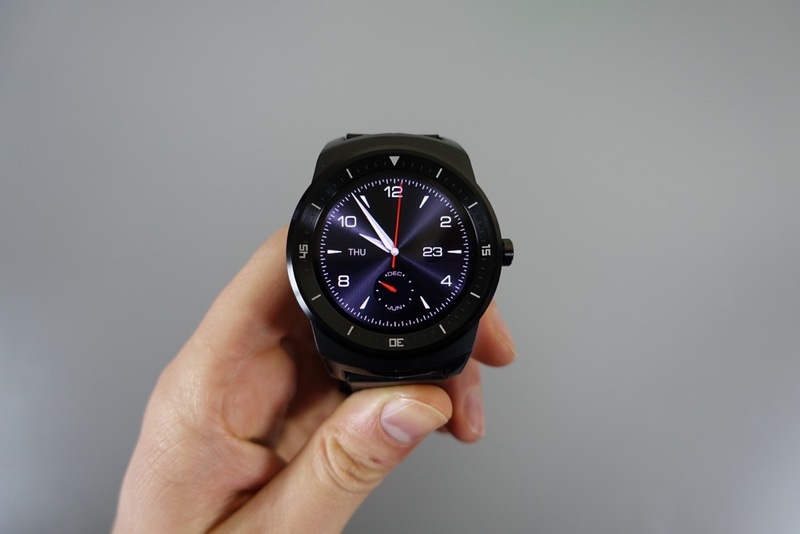 The LG G Watch R is officially coming to the US on November 5 for $299. Yep, that would be this Wednesday. You will be able to purchase LG’s premium watch at AT&T’s online shop on November 5, then in stores on November 7. For those not familiar, the G Watch R is the other round Android Wear smartwatch. LG will probably tell you that it is the only fully round smartwatch, which is them taking a subtle, but well-played jab at Motorola for the “flat tire” found at the bottom of the Moto 360. The device is also made of premium materials, like metal and leather. It has a 1.3-inch P-OLED display, the first of its kind. It also has a heart rate monitor, classic sport watch styling, and really is the other premium Android Wear watch to consider. We have been testing one for a couple of weeks and so far have mostly positive things to say about it (our unboxing and first impressions). While the styling isn’t exactly to my taste, there is no denying the premium feel of the watch, outside of the cheap “leather” wrist strap. Battery life is impressive, the display is punchy and colorful, and performance is as good as it gets for modern smartwatches. But is it worth the extra $50 you will pay over the current king of Android Wear, the Moto 360? Personally, no, but some may feel differently for the added battery life.